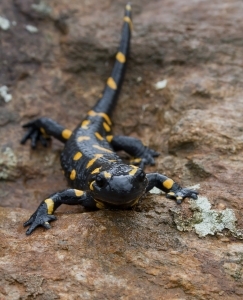 According a recent news article from the Telegraph, researchers in England believe one day, hip replacement operations may no longer be necessary, as a result of studies involving an endangered Mexican salamander called an axoloti. The axoloti is an amphibian but lives its life under water and has been called a walking fish. While these salamanders have been described as fish-like lizards are endangered because they are traditionally killed and eaten in Mexico, they have the remarkable ability to be able to regenerate parts of their own bodies if injured, including their brains and legs. While it is not the only organism that is capable of regenerating limbs, it is a rare ability for a vertebrate and, in addition, the axoloti also has the ability to easily accept tissues and even appendages from other organisms. It does this because its tissue merges with the donor material through the regeneration process. Researchers are not necessarily interested in using the axoloti, but rather are seeking to learn how it is able to regenerate itself, so that human tissue could also be stimulated to regrow. It is believed that this would eventually replace the need for foreign material such as artificial hips from being implanted into the human body. Some of the problems scientists are concerned with involve the body’s immune system rejecting the foreign tissue or, in this case, object, which can result in substantial pain and the need for additional surgeries. However, some artificial hips, as our Boston hip replacement liability attorneys know, involve manufacturing defects that can also lead to poor results for patients. For example, one DePuy artificial hip used a metal on metal joint that the medical device manufacturer claimed would lead to smoother movement to aid more athletic patients in leading a normal life. The problem was that metal on metal surface, as opposed to a ceramic or polymer based cup, lead to metal fibers being released from the joint. These fibers can cause a serious medical condition known as metalosis, which can leave the patient in tremendous pain and require the artificial hip be removed and replaced. While poisoning from the metal fibers is possible, more often, the fibers are attacked by the body’s immune system, and this can result in significant pain and swelling. Many patients who had a hip replacement and are experiencing pain and joint problems have relegated themselves to a lifetime of living in pain and feel there is nothing they can do about it. If this describes your situation, you should speak with an attorney who regularly handles lawsuits involving defective hip replacements, because you may be able to recover financially, including some compensation for the pain and suffering caused by the defective hip. While every situation is different, as the facts will vary, if you have had an artificial hip implanted and now need an additional operation to implant a new hip, you should speak an attorney to protect your rights.